20 ingenious ways to keep your kids entertained all day long. Awesome! Can’t wait to check that one out…in a minute. 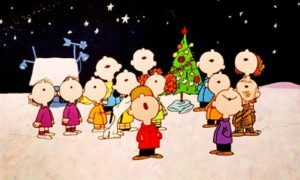 After kindly reading my very important educational blog ::)) below about musical activities to keep kids happy during the holidays grab a cuppa and head on over to www.brightside.me where you’ll find 20 cool, educational ideas and activities for your kids. Holiday time is all about letting go of the stringent routine, diving into the warm Sunshine Coast waters and sleeping in if you are lucky enough to have very thick block out curtains all through the house. Have you noticed that the sun comes up at 4.44am? Well, that is the time on my phone this morning. I can see the time clearly because the sun is very bright in my room. I am rubbing my eyes and heading downstairs to make a cup of tea. I bump into the parcel of unwrapped Christmas gifts that I bought yesterday for my family in Adelaide. Oh, yes, that’s right…only one more week of music lessons. 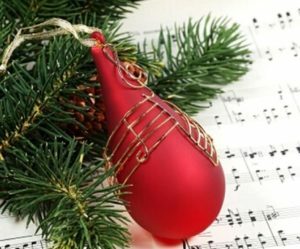 Music Matters parents have been sighing about the long holidays ahead and are wondering what they are going to do to entertain their kids after music lessons finish for the year. (Glad they find me so entertaining!) I thought you might feel the same so I have put together a short list of 3 quick, easy musical activities to use as diversion tactics when you need them. It turns out that diversion tactics are recommended by teachers all over the globe. As parents we already knew this, didn’t we? #1. Sing Jingle Bells to your child! You will be very surprised at the outcome. The last thing your child will be expecting is for you to burst into song. Next time your son or daughter complains of boredom (the big B), burst into song with Jingle Bells. You will really get their attention and then you can invite them to sing along with you. Invite them to play the song on their instrument so you can sing along while they play. By the way this “singing” distraction technique works really well in the car. Just when you think you are about to lose it, breathe deeply, count to three and burst into song. Everything will go quiet in the back seat…bliss! #2. Have a percussion instrument handy, preferably hidden from view. When the big B strikes, make a little sound on the instrument by shaking or tapping it. Kids are extremely curious so work with this strength. Get them interested in the sound, but don’t let them know where it is coming from until you are ready. Have fun with this. When they finally discover the percussion instrument, take it to the piano (or your child’s instrument) and ask if they wouldn’t mind playing their favourite piece so you can accompany them on your percussion? Please?… You may feel a little silly at first, but it is better than feeling cross, don’t you agree? Last one #3. When my four children were little I used this favourite musical distraction with great results. You don’t need fancy percussion instruments. Just grab a couple of tissue boxes, cardboard boxes, or other boxes that make a nice hollow sound. There should be one box per child. Find a wooden spoon or other safe, non-breakable tapping tool for each or all of you. Experiment with tapping the tools on to the boxes to make up rhythms. Then go into separate areas of the house where you can’t see each other. You can still be in the same room. You make up a short, simple rhythm for your child or children to copy. They play the rhythm back to you, in turns. Then you can swap; they make up a rhythm and you copy. our rhythm such as “Is it time for a hug?” Ask them to make up the words for a reply and play it as a rhythm. 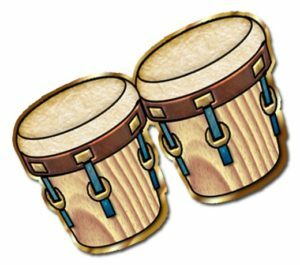 Ask your child to invent two rhythms to play back. One might mean “Yes, it is time, Mum (or Dad)” and the other might mean “Later on please; I am busy now”. They will love this game of speaking to you through the drums and not seeing you. Once again use your imagination and invite your child to do the same. You could develop this idea further by doing some research together on how early civilisations used to “speak” to each other using drumming patterns.